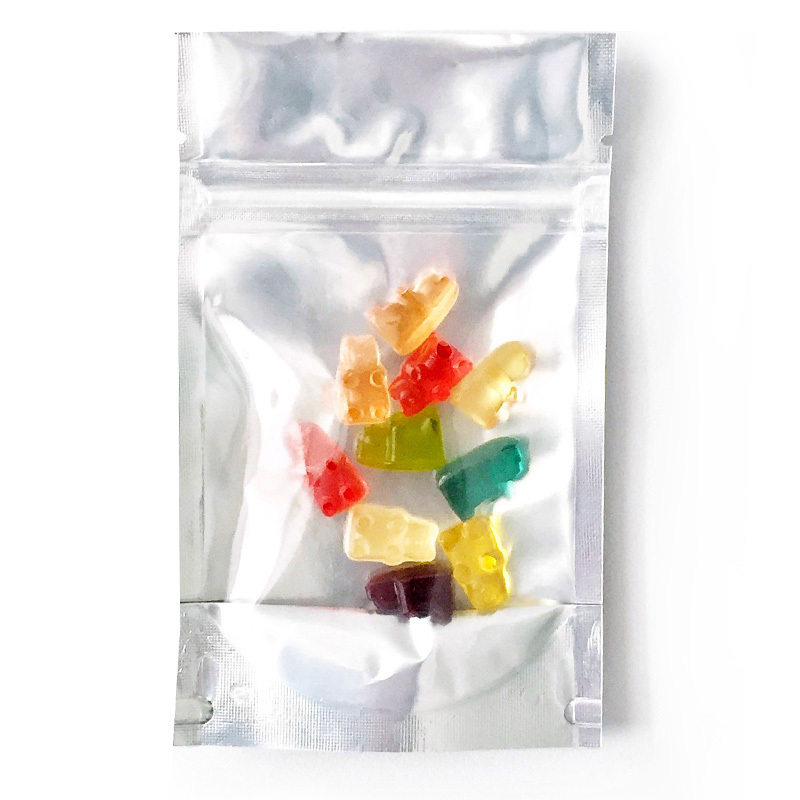 Each of these gummy bears contain 10 mg of THC and they look and taste great! One advantage of consuming edibles is that they are made from THC distillate which is both colourless and odourless. Each of these gummy bears contain 10 mg of THC and they look and taste great! 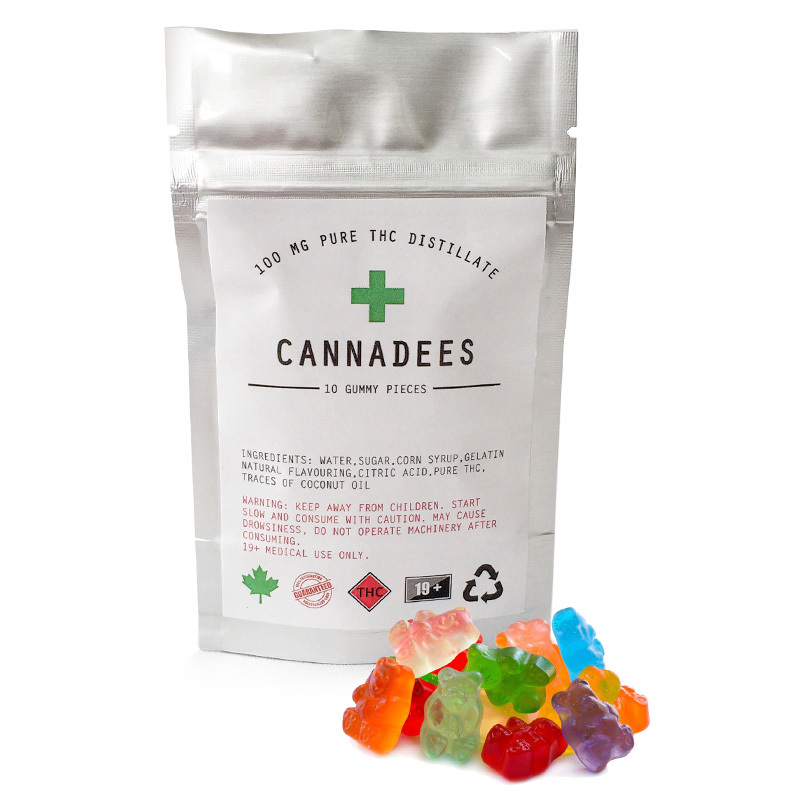 One advantage of consuming edibles is that they are made from THC distillate which is both colourless and odourless. Rather than going directly to the brain, like marijuana does when smoked, eating THC is metabolized through the stomach and liver first, so it can take several hours before any effect is felt. 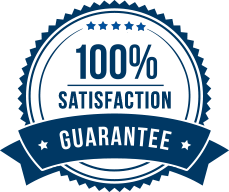 However, the impact of the dose lasts for up to four hours which makes Canadees Gummy Bears an attractive alternative to other medications that are used to help control chronic pain, and promote sleep.